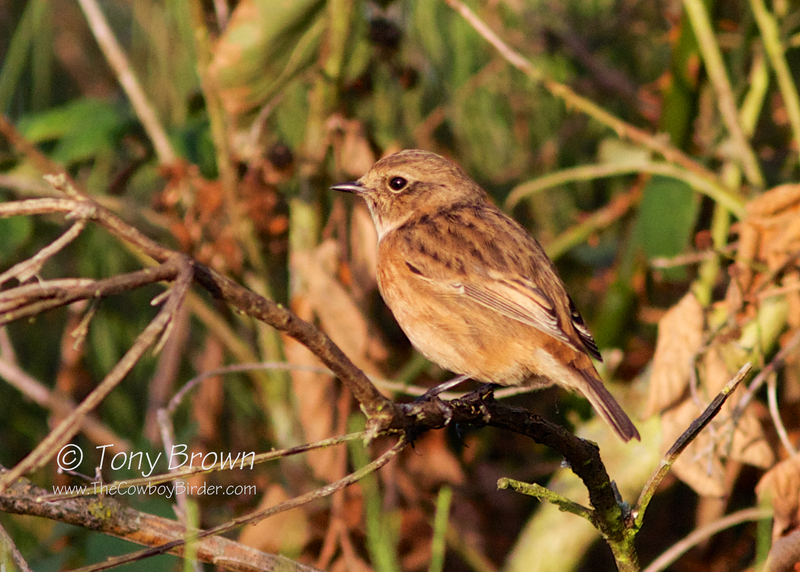 Late September on the Flats and it's all change, the last of the Northern Wheatears have all but departed and commoner migrants have become scarce - although a Common Redstart was still enjoying the last of the autumn sunshine in Long Wood. 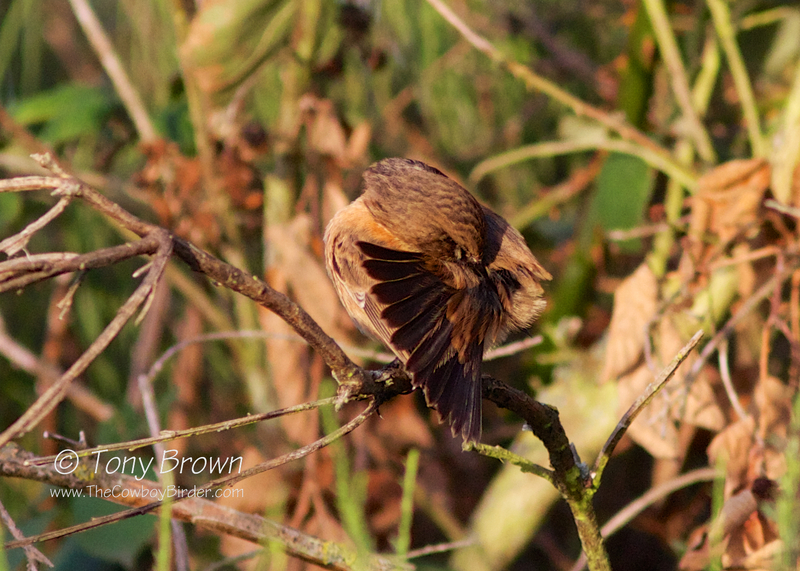 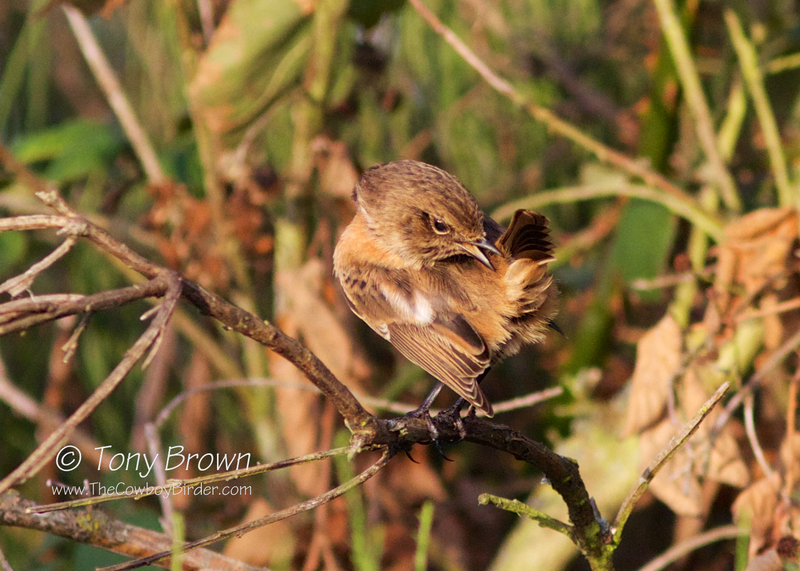 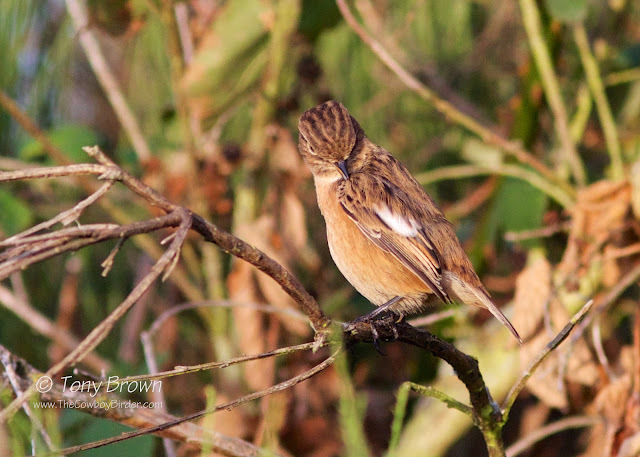 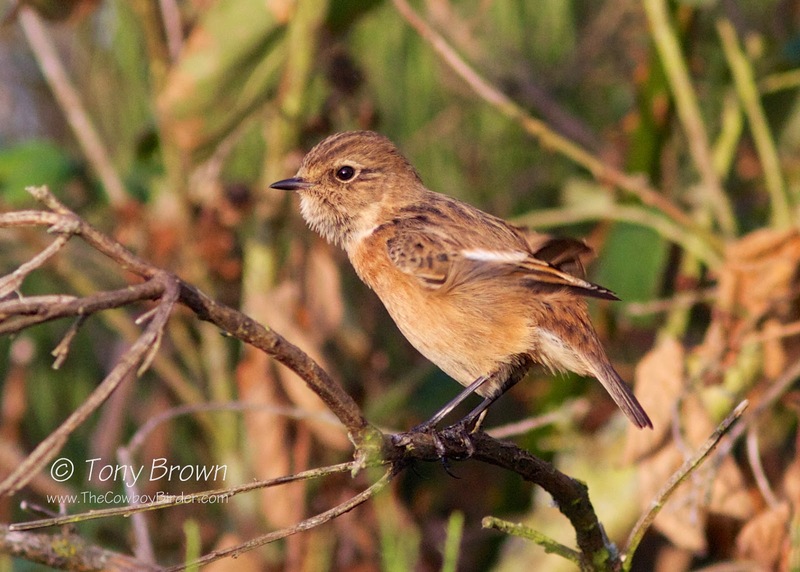 New in this week was the arrival of two Stonechat in the Broom fields, a typical autumn record as this years young move away from their coastal breeding grounds and disperse to discover a degree or two warmer inland habitats. I'm hoping these birds will stick around through the winter, and who knows a long over due Dartford Warbler might even tag along for the ride - now that would liven up what could be a long winter!